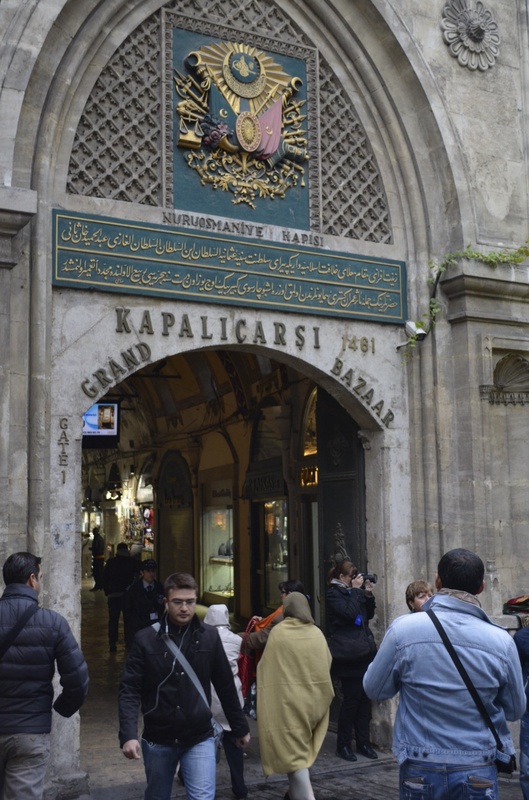 We took off from Istanbul after a quick flying trip through the Grand Bazaar. It didn’t bother me that much as I will be staying in this area for 2 days at the end of the tour. The bazaar, founded in its present form in the 18th century, is an interesting place but loaded with cheap and over-priced goods as one would expect. I spent some of the time talking to an Aussie couple who just came from Greece. They found Greece a bit “sad” because of all the strikes. They were on a bus in Athens when a flash strike was called. The bus driver stopped the bus and everyone had to fend for themselves. Luckily, they were not too far from their hotel. I’ve been learning a lot from my traveling companions who have been to Greece already and had some good suggestions. One was to scale back on expectations. Greece is a mess right now, but it will be what it will be. As this trip goes on, I am more and more leaning in favor of spending more time on the wonderful island of Santorini. Time will tell, the trip is just beginning! Result of the intense bombing on the hills overlooking the landing site. 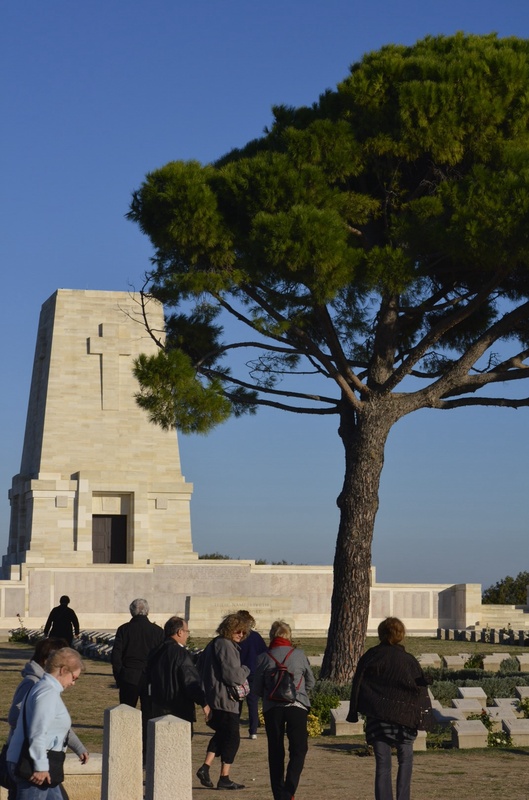 Our first real stop is at Galipoli, a place very special to Australians and New Zealanders. It is the site of an attempt in World War 1 to knock Turkey out of the war. It failed miserably. The location is at the entrance to the Straight of the Dardanelles. The idea was to surprise the Turks by landing at the spot they would least expect the British to come ashore. It was a slaughter that lasted months with hundreds of thousands killed on both sides. As many probably died from disease as from actually being hit by ordnance. Such a beautiful place today, you cannot imagine it as it was then in all its horror! There are many Aussies and New Zealanders on the tour. They all have a story to tell of the great uncle, grandfather or other member of the extended family who was either killed in the battle or severely affected by it. The death of nearly 100, 000 men was a tremendous one for two countries with not a large population at the time. We then took the short trip to Cannakkale on the Asian side of the straights. 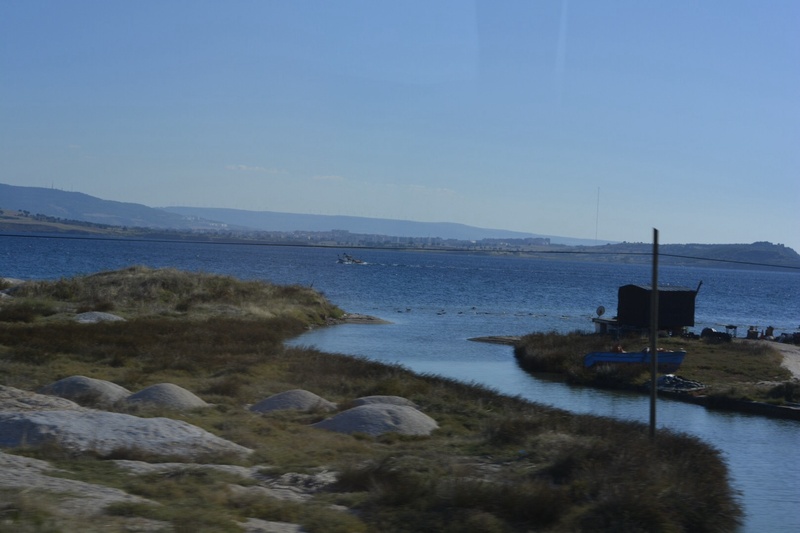 A ferry took us on the 20- minute trip from Eceabat to Channakkale, a small university town not far from Troy. Troy has been on my “bucket list” before there even was a bucket list! It was like being in a dream. The next day we made the short trip from Cannakkale to Troy. Getting off the bus took my breath away. Not because it was such an awesome site, but just that I was at long last actually THERE! 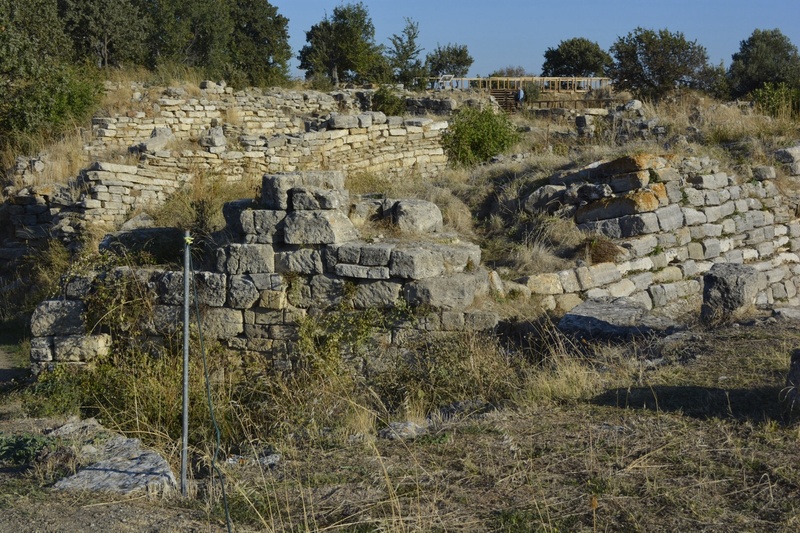 When I was a boy, I read the books of excavating Troy. It became a mini-obsession! I even tackled the Illiad, but I must confess it was hard to understand at 11 years old! 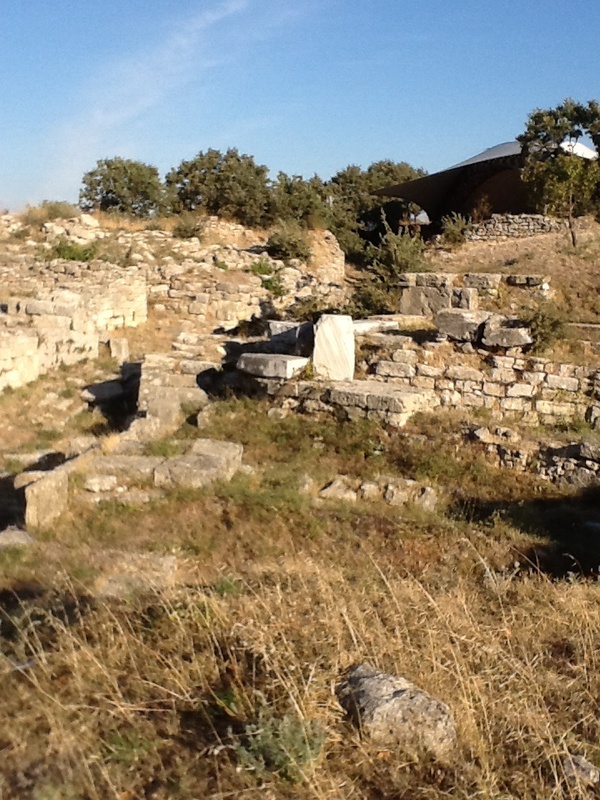 Alemdar, our tour director, asked us to put on our hearing devices as he lectured going through the ruins. However, it wasn’t long before I found myself dropping back from the group, disconnecting the ear phones, and having time to walk the ruins by myself. 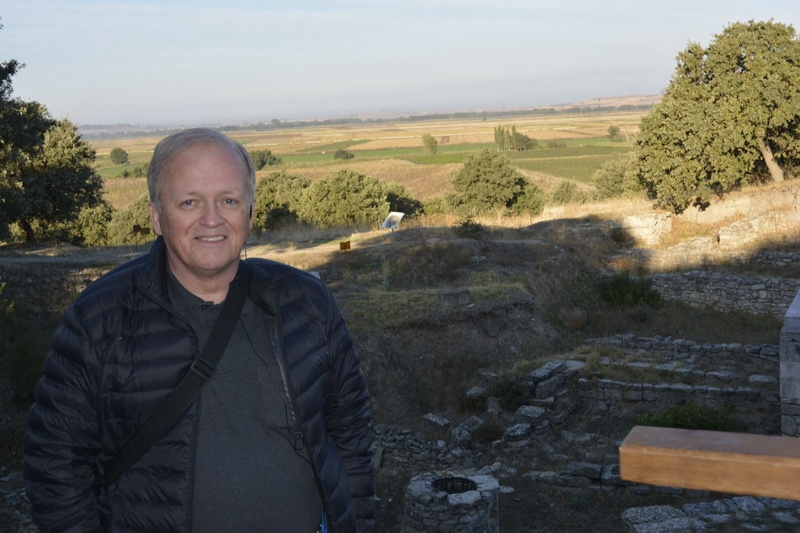 Even though I knew the wall was possibly from a later period of Troy’s reinvention, I was blown away standing on the remains pretending I was Paris or Priam looking down from the ramparts at the action of battle below- as much a conflict of gods as men over the possession of Helen of Troy. Not a great deal has been excavated at the site, but you can get the sense of the various levels of the city representing the time periods in which the city resurrected only to fall again to some other calamity. 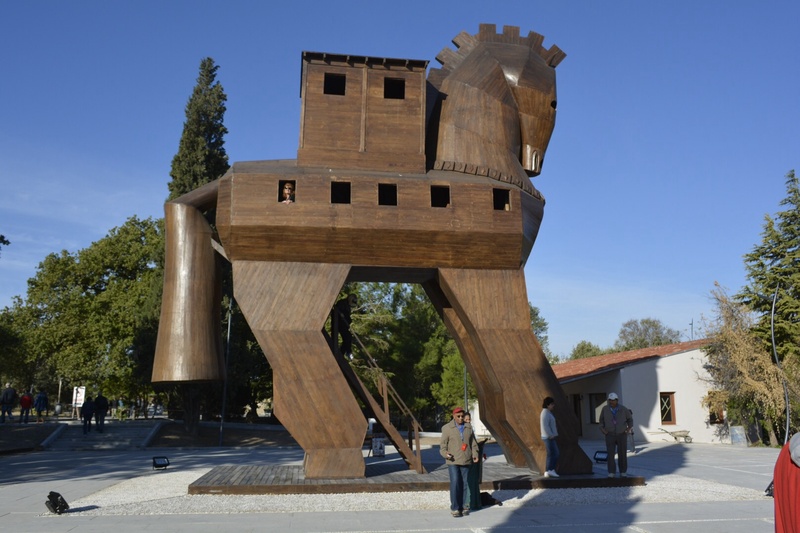 It was such an incredible gift having that 20 minute period of time to be alone with the site as the others had moved on to the replica of the Trojan horse and the gift shops and no other tour group had arrived yet. It was difficult getting on the bus not an hour since our arrival. It seemed to me that after wanting to get here for so long, I should be spending more time. However, the spell the site had cast on me disappeared with the arrival of a two-bus tour group. So off we went on to the next place on the itinerary. 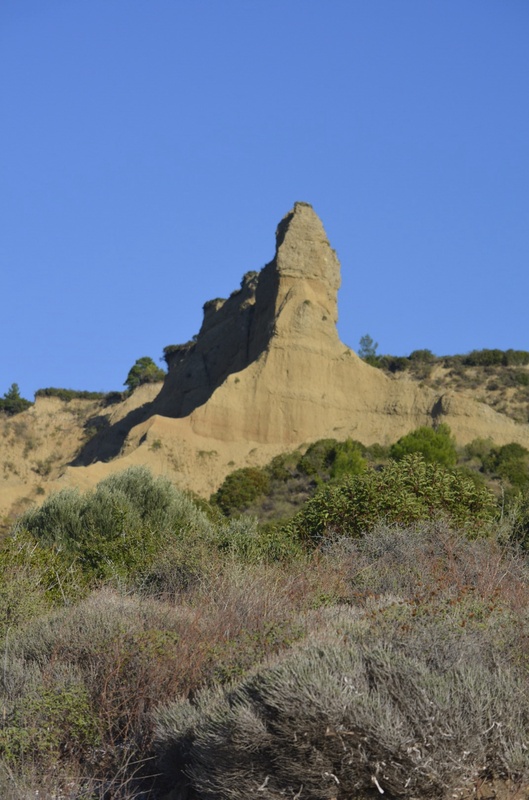 As the bus picked up speed on the dirt road, I could barely see the ruins and the thin blue line that was the Dardenelles. So happy you are following your dreams!! Thanks fro your travel story, am enjoying reading and working on my bucket list.